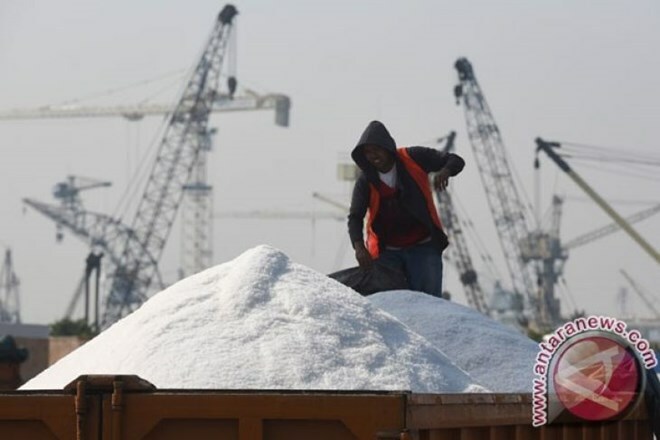 Jakarta (VNA) - Indonesian Coordinating Minister for Maritime Affairs Luhut Binsar Panjaitan has called for a stop to the import of salt for industries in 2020, according to the ANTARA news agency. "In the next two years, we may no longer import salt for industries," he said while delivering his general lecture on "the development of Indonesian maritime industries and services to create the vision of the world`s maritime axis" at the University of Pembangunan Nasional (UPN) Veteran here last week. To stop the country`s dependence on imported salt, the government has prepared 30,000 hectares of land to produce salt in East Nusa Tenggara province, he said. He believed that by employing better technology, the country can meet its domestic salt needs without imports. "We will use better technology to produce better salt with a salt content of 98 percent," he said. The country`s coastline of 99,093 kilometers serves as a strong asset to meet domestic salt needs, yet it has not been used optimally, he added. If the domestic salt industry is managed seriously, the country does not need to import salt for industries, he said.